Stephen Jory: Britain's Greatest Counterfeiter? Home > Famous Counterfeits > Stephen Jory: Britain's Greatest Counterfeiter? There are counterfeiters, and then there are super counterfeiters. Stephen Jory, who died at the age of 57 in 2006, was definitely in the latter category, responsible for literally millions of pounds’ worth of counterfeit designer perfumes as well as many more millions in fake bank notes – he flooded the market so heavily with them, and they were so good, that the Bank of England was forced to change the design of the £20 note. Born and raised in North London, Stephen Jory didn’t just drift into crime. By his own admission he made a conscious choice to become a criminal. In his twenties, during the 1970s, he was one of the first to make and sell counterfeit designer perfumes. After bribing a perfumer in order to obtain the recipes for some of the biggest-selling perfumes, he set up elaborate plants around London to make, bottle and package the goods, then distributed them. It was a very lucrative, growing business, and Jory made a fortune. In fact, the business became so large that Jory and his associates even put together a factory to make the perfume in Mexico. But, inevitably, it couldn’t last. He was arrested in the 1980s, and in 1985 he began serving the first of several sentences for his perfume counterfeiting. It was said that he’d done £300 million in business with the fake scents. Whilst in prison he wrote his first book, Supergrass. Jail didn’t seem to deter Jory from a criminal lifestyle. After his release he simply changed tack and decided to go for counterfeit currency instead. In a house in Essex he installed a printing plant and began experimenting with forging £20 notes. He admitted that he had problems at first with the watermarks, but soon surmounted them, and then Jory and his gang started to cover England with the fake money. Just as he had been with perfume, Jory was thorough. 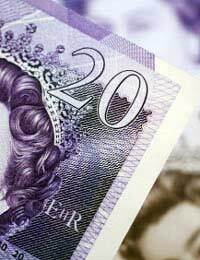 His counterfeit £20 notes were so good that they were able to fool the ultraviolet detectors intended to spot fakes, and some of his work even made it back into the banking system. The gang was finally captured in 1998 after a police sting called Operation Mermaid. Jory was willing to admit to making £50 million in counterfeit notes, but the suspicion is that the actual figure was much higher. How good was his work? So effective that a rather embarrassed Bank of England was forced to change the entire design of the £20 note and add more security to deter others from following in Jory’s footsteps. In jail, Jory wrote another book, 2002’s Funny Money (it was re-published in paperback two years later under the title Loadsamoney), giving a full account of his currency forgery experience. It was rare for someone to be so successful to be such an excellent counterfeiter in two greatly different fields, but Jory applied skill and cunning to his operations; he not only had to fool the public, he also had to evade the police. Although he was eventually caught for both crimes and served time in prison, he managed his operations extremely well and made a lot of money from his activities, the type of man who could probably have been equally successful in any legitimate enterprise, if he’d wished. Jory died in Cambridgeshire in May 2006.